As you begin shopping for your next vehicle, a bit of research is going to be necessary. After all, if you’re making that big of an investment in a vehicle, you ought to be sure that you’re getting the best of the best. Vehicle reviews are an invaluable resource when it comes to the shopping process. 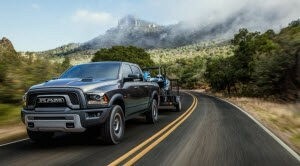 And to help our customers in the Penn Yan, Geneva, Watkins Glen, and Hammondsport areas, the Friendly Dodge Chrysler Jeep Ram (DCJR) team has put together this review library. When you’re drawing up your vehicle wish list, there are a few things that’ll probably jump out to you right away. You might want efficiency, speed, or even a specific design. But a vehicle’s true worth lies in the details. In these reviews, we examine our DCJR cars from top to bottom. We dig into the specifications, the various features, and even the convenient amenities. We want you to get the full picture, not just a vague glance. If there’s a model or two that interests you, find the corresponding link listed on this page. Give it a look, and see if that vehicle is really what you’re looking for. At Friendly DCJR, we work hard to provide local drivers with all the assistance and resources they need to make an informed purchase. Not only that, but we work exceptionally hard to supply you with plenty of options. Our inventory is comprised of new, used, and certified pre-owned Dodge, Chrysler, Jeep, and Ram vehicles. From sedans to SUVs to trucks, we have a little bit of everything. Check out our inventory online today. There, you’ll be able to examine the specs of each model, as well as photographs and maybe even some price quotes. Take a look to start the shopping process from the comfort of your own home. Even though reading through these reviews can give you an excellent idea of which cars best fit your needs, you might still have some specific questions afterwards. Don’t hesitate to contact the Friendly DCJR team for more information. We’re happy to serve all Penn Yan, Geneva, Watkins Glen, and Hammondsport drivers.